The Oral-B Professional Care 1000 electric toothbrush with CrossAction toothbrush head is inspired by professional cleaning tools to deliver a superior clean compared to a regular manual toothbrush. Contents : Rechargeable toothbrush handle, Charging station, 1 CrossAction Brush Head. 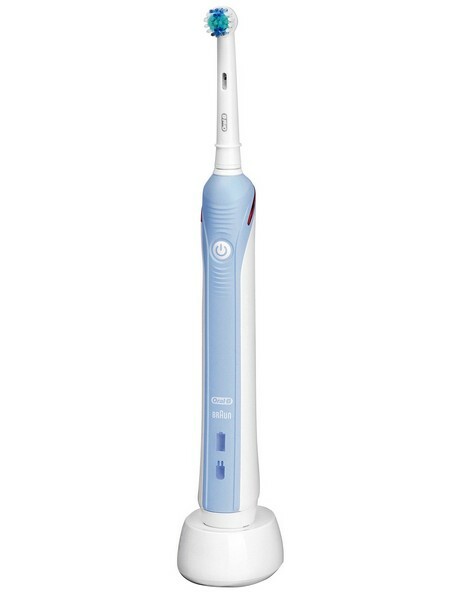 - Contents : Rechargeable toothbrush handle, Charging station, 1 CrossAction Brush Head.